The ePistolarium contains a number of visualizations that allow researchers to analyze the search results from different perspectives. All visualizations are dynamic and pertain to the current set of results as obtained through the facted search. 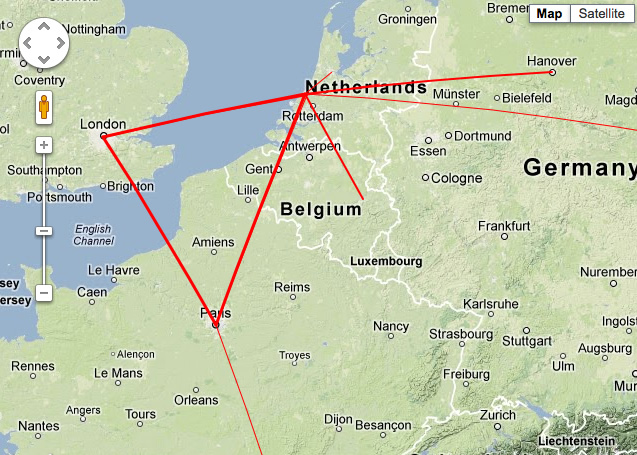 This visualization shows the locations of sending and receiving of the letters in the current result set on a geographical map. Thicker lines indicate larger numbers of letters. 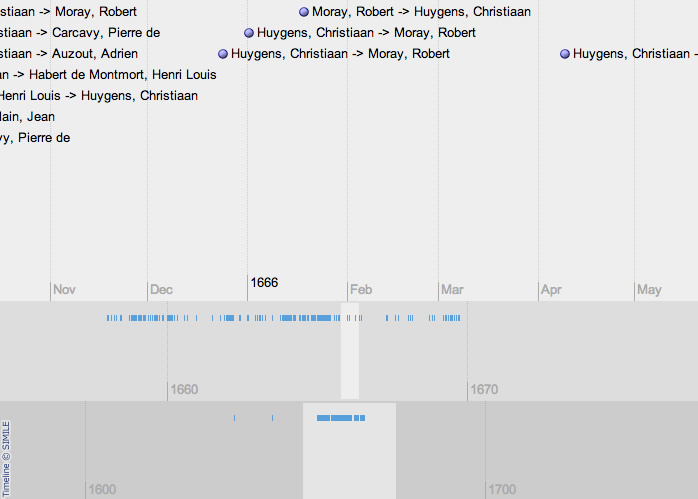 The timeline visualization allows users to inspect the distribution in time of the letters in the current result set. Three different time scales are used. Clicking on an individual letter causes the letter text to be displayed. 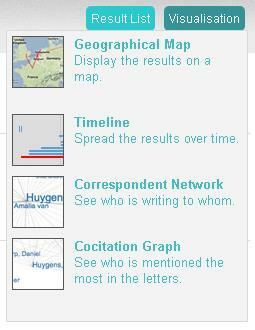 The correspondent network visualization shows a graph of senders and recipients of the letters in the current result set. The size of the names of the correspondents correlates with the number of letters in the result set. 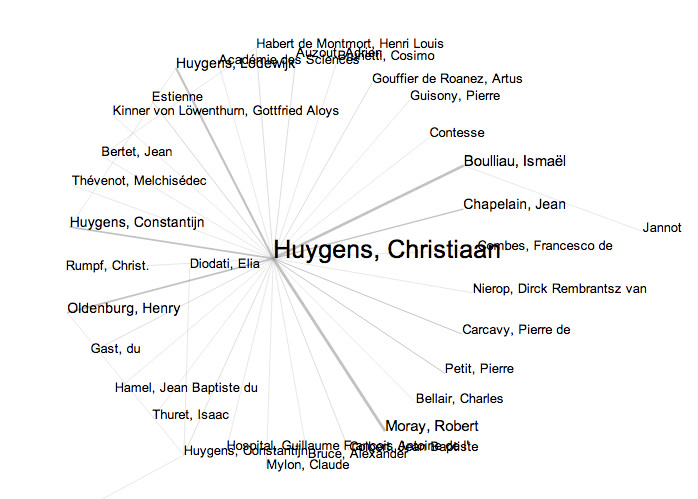 Co-citation graphs are visualizations of persons mentioned together in the same letter. The more often persons are mentioned together, the stronger the connection. Persons central to a debate appear in the center of the graph. 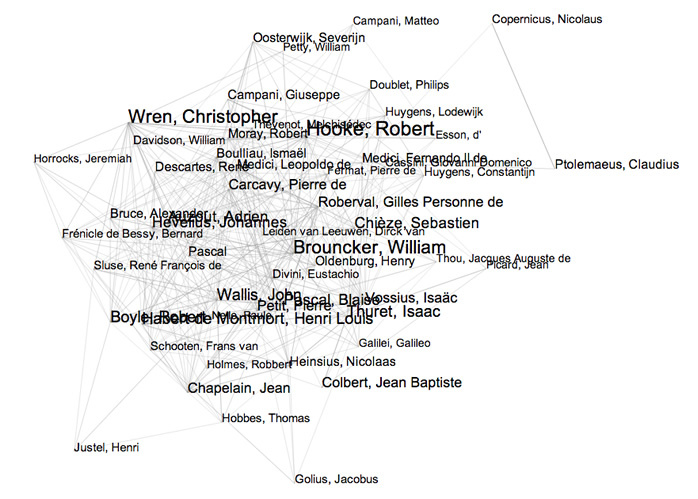 Thus, the co-citation graph gives an indication of the intellectual network as pertaining to the current result set.